From Salt Lake City, take I-215, Exit 6 and head east to Little Cottonwood Canyon. Follow signs to the ski areas. Use State Route 210 to go east, up the canyon. 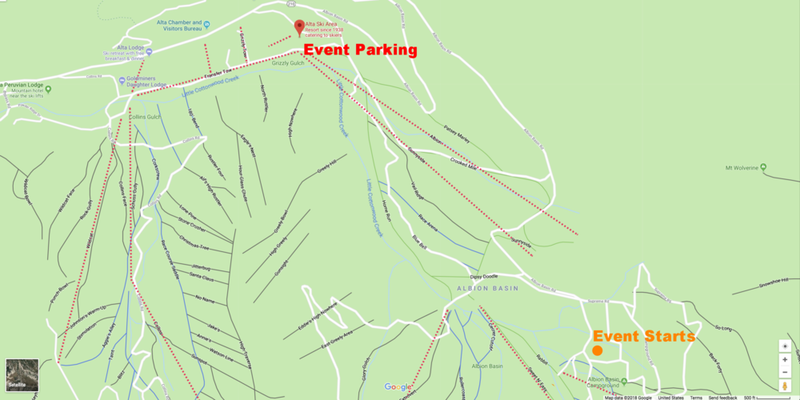 Please park at the Alta Ski Resort and either hike or shuttle up to the Cecret Lake parking lot (Limited Access). Click the map below for a link to a dropped pin.